While the majority of our installations are for residential windows, we are often asked about other shutter uses. 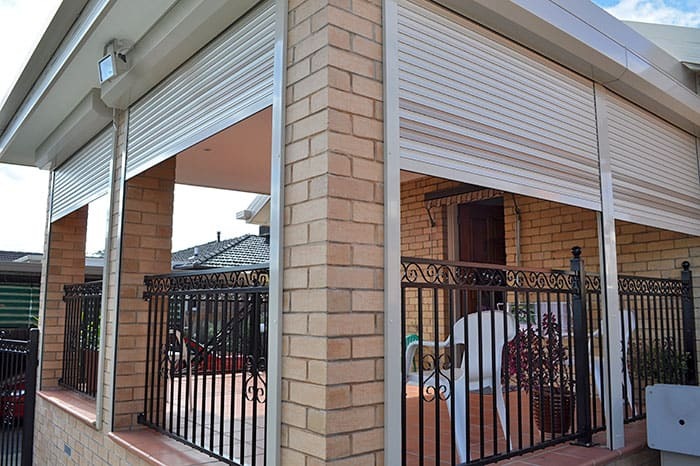 Protecting your patio with roller shutters allows you to enjoy the space for more of the year and more of the day. Our shutters can easily block excess sunlight while letting you get out into the fresh air. Lock all the shutters down to protect your patio furniture & outdoor valuables. In this use, a patio area was exposed to local traffic. Anything left on it was at risk of being taken but with lockdown patio shutters we were able to provide this homeowner with much greater security.